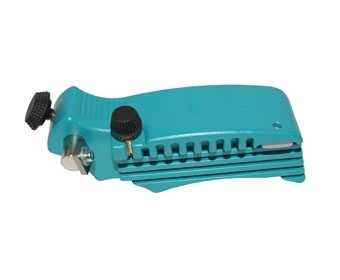 Large easy to hold design gives unobstructed view of the cutting blade while working. Strips the second edge and sidewall on all of the new capped race skis and regular skis. Precise adjustment of cutting depth on all axis. Dleivered with 3149.3mm Combi blade.